There are many reasons to celebrate. In order to make the best memories of your occasion, food often is the crucial factor. Food is what completes an event and makes your guests reminisce about the celebration for a long time. We will individually fine-tune your menu according to your wishes. 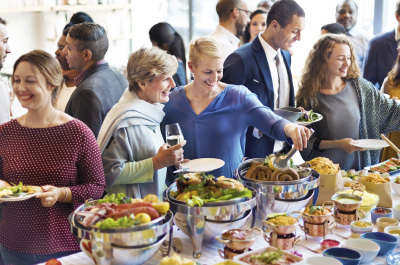 It doesn’t matter whether you want to celebrate at home or in our restaurant: Our catering will make your event a success. We will bring culinary delicacies straight to your party. You have a reason to celebrate, we will bring you the right food. We take individual wishes and extravagant dishes for granted. There is no run-of-the-mill solution for us: Fresh ingredients and excellent quality matter to us. No matter if it is a wedding, a birthday or a company party: Our catering will create the ideal menu together with you. Moreover, we will provide you will party equipment, such as chairs, tables and cutlery. Visit our restaurant „Zur alten Mühle“ at the inland port of Glückstadt. Our restaurant gives you the option to host your event at our location: We have enough room for up to 100 guests. 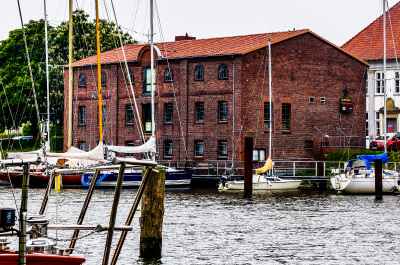 Enjoy the view of the inland port of Glückstadt along with the fresh foods of the Nordic cuisine. You can individually arrange the menu according to the motto of your celebration. If you need help, we are there for you.